This poster was a response to the racist graffiti found on Eastern Michigan University’s campus. 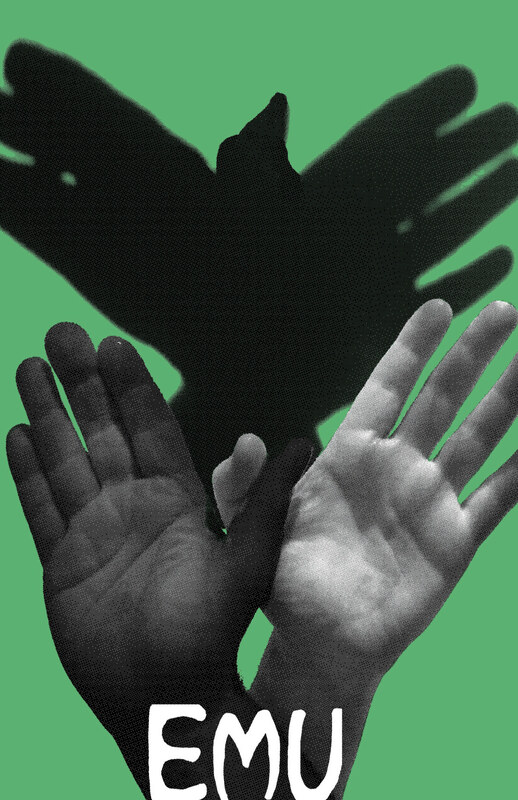 The hands symbolize a coming-togetherness between people at EMU during this time to form a cast shadow of the school’s mascot, an eagle. This poster was part of “The Posters of Discontent III” show at EMU, and was also featured online at WEMU, the NPR program on campus.